Jay Baer is a 7th generation entrepreneur, a New York Times best-selling author of six books and the founder of five multi-million dollar companies. He is the founder of Convince & Convert, a consulting firm that provides social media strategy and content marketing strategy to "the world's most interesting brands". Virtually located across the US from New York to Los Angeles, the Convince & Convert team comprises senior digital strategists with deep experience in content marketing, social media, digital analytics, email, and organic search gained from stints at Fortune 500 companies and leading agencies. In this interview, Jay shares lessons from his 25-year marketing and entrepreneurial career, including how he leads a dispersed team whose members only get together 'in real life' once a year. Welcome to episode 11. I'm Tristan White and today we have an interview with a seventh generation entrepreneur from the USA by the name of Jay Baer. As a marketer Jay uses 25 years of experience helping brands to improve their digital marketing and customer experience. He's a best selling author of six books and an inductee into both the professional speaking and word of mouth marketing halls of fame. 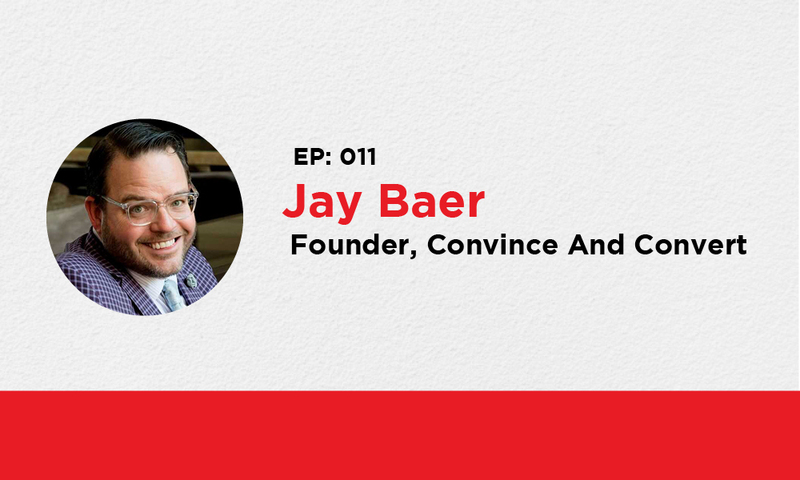 As a leader Jay is the founder and CEO of Convince & Convert, a consultancy firm that works to helps customers, his clients, generate word of mouth conversations to attract customers. He has a team working virtually from their home offices spread across North America and Central America. Jay and I first met recently at a London conference that he was speaking at, I was an attendee there to listen and learn. In this interview Jay and I talk about some great ideas of his new book called Talk Triggers, and how we can use that not only to generate word of mouth marketing for customers, but also how to use Talk Triggers to build an employer brand that helps you to attract and retain team members, which can be used not only for entrepreneurial firms, but also for large corporate organisations to build an employer brand around you as a leader to attract the right people to come and work with you. In the interview, Jay gives a really practical and powerful tip at the very end, which is an inner question for newer managers, but really hit me between the eyes too, and was really powerful for us managers and leaders who have been leading teams for quite a few years as well. There is so much to learn and reflect on here from Jay Baer. Enjoy episode 11.